The very first impression that a visitor forms about your property is based on the appearance of the exterior. Most Southern Pines homes truly appreciate the value of great architecture and well-manicured landscaping. Often however homeowners give little consideration to the proper cleaning and maintenance of their exterior siding, gutters, exterior wood, masonry and concrete. Even if you are not painting your home, you should be washing your house at least once a year. 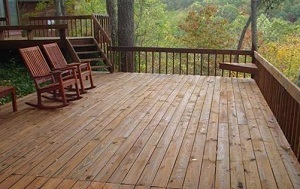 Our North Carolina power washing contractors, can pressure wash your home to spruce up the exterior of the home and makes it look much cleaner then before. If you're looking for a professional pressure washing contractor in Southern Pines, North Carolina, then give us a call 252-266-9457 or complete our online request form.